When I weaned my daughter at 14 months last summer, I felt more than a little undone. Breastfeeding had been integral to my role as a mum, my sense of self, and part of our daily routine. But since my daughter would never take a bottle—please believe me when I say that we tried and tried (and tried)—it also meant I was never able to be away from home for more than a few hours at a time. I knew I was lucky though. I work from home and had a flexible schedule that allowed me to be with my daughter, feed her, and work. 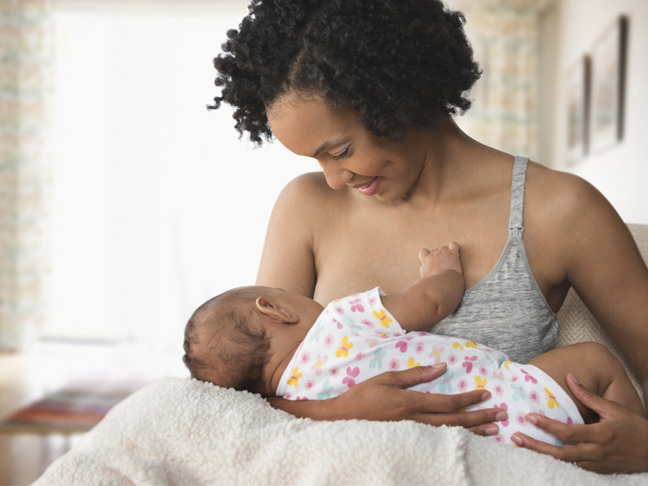 Plus there is this surprising stat: Less than half of all mums reach their goal length of breastfeeding and only 13 percent make it past six months, the recommendation of all major medical organisations. Which is to say that I was also proud of our nursing. Tweak your diet. I weaned during the summer so we had a steady stream of green leafy vegetables, berries, and other antioxidant-rich foods in our diet. But I also took a complete omega fats supplement, made sure I was eating a lot of lean protein, stocked up on probiotic foods like yoghurt and kefir, and tried to minimise sugary treats. In addition to letting my diet help to guard me against depression, I was also adjusting back to my pre-baby calorie needs. Get sunshine and fresh air. As any busy mum can tell you, the stuck-in-the-house days are the worst. Whenever possible, we got outside for fresh air and a solid dose of Vitamin D each day, which was an instant mood booster. It also helped that I got an endorphin rush every time I had to chase her around the yard— those little toddler legs are surprisingly fast! Take up a new sport. Just before I weaned my girl, I started swimming at our town pool. I learned to swim as a kid and did it every summer in camp, but I hadn’t swum a lap in about 15 years. It took me weeks to feel comfortable doing just one continuous lap of freestyle, but putting my body to work in a new way helped me to feel confident and motivated while my role as a mum was changing. Not into sports? Book yourself a massage or plan drinks out with girlfriends.